Spring Oil Change, Why Use Zddplus Oil Additive? - Auto Parts Canada Online Experts in the Auto Parts Industry. Just maybe Spring is at last in the air! Now perhaps all us classic car enthusiasts are going to be able to take the wraps off our cars! Are you thinking oil change first? If so, you should check out this product ZDDPlus which is an oil additive. Today, ZDDP has been removed from practically all automotive engine oils, rendering them unsuitable for use with older engines with non-roller lifters. This makes ZDDplus very important for classic cars. With 70+ years of positive protection afforded by ZDDP, emission system changes are forcing a reduction in the amount of ZDDP in motor oils, leaving your classic or performance car at risk of premature cam and lifter wear. The sliding cam-to-cam-follower interface in a non-roller lifter engine requires a special anti-wear additive, which has historically been ZDDP. With just a single 4 oz bottle of ZDDPlus™ added to a normal 5-quart oil change, you will restore the proper amount of ZDDP that was found in into pre-1996 oils. Using ZDDPlus™ affords you total control over the characteristics of the oil in the engine by allowing you to use the full 5 quarts of high-grade automotive oil of your choice. 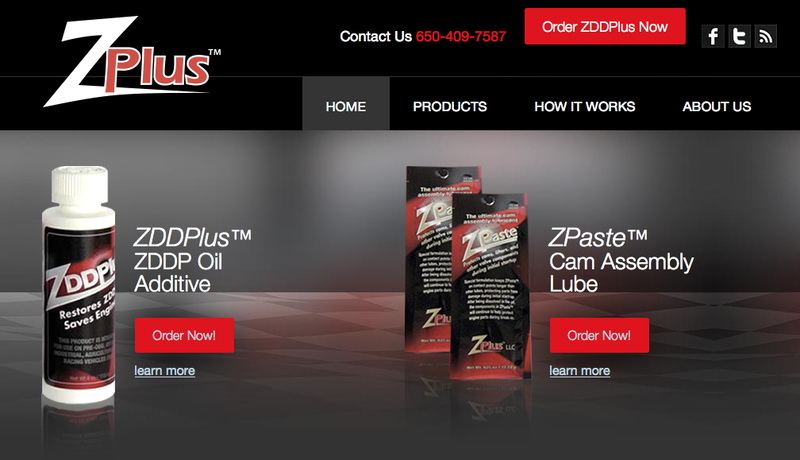 Auto Parts Canada Online is the Leading Canadian Reseller for ZDDPlus Oil additives. Call us on 1-800-265-5787 or visit our web page and be in full control of your classic engine protection.